It’s SPOOKY how quickly Halloween can sneak up on you! 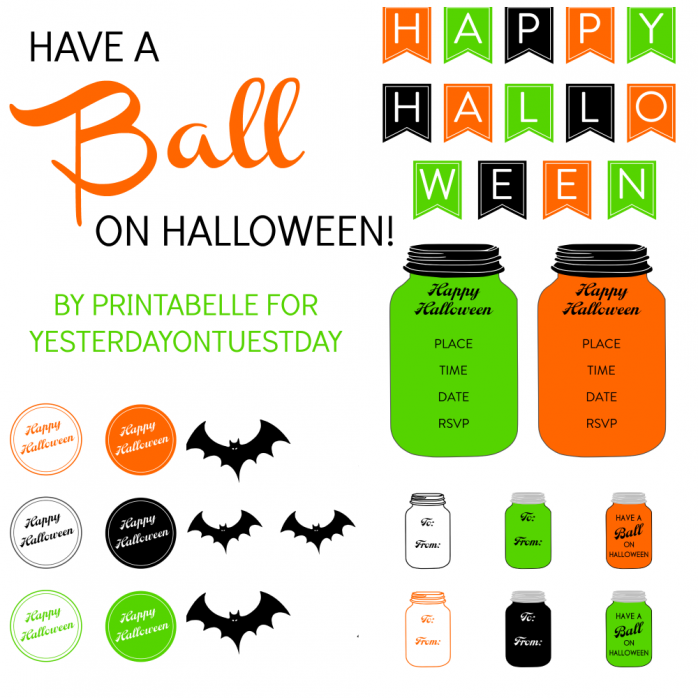 My pal Printabelle and I have teamed up to create a FREE set of Halloween Mason Jar Printables… just for you! You can use them for parties, decor, crafts, gift giving… or anything else you think of. To Download just click on link and save file to your computer… then print. Love Mason Jar Printables? Find more here. Thanks, Malia! I can’t wait to see what you make with these! Love this printable collection would you mind if I share it on our blog?